The 20th century gave us two great theories of physics. The general theory of relativity describes the behavior of very large things, and quantum theory the behavior of very small things. 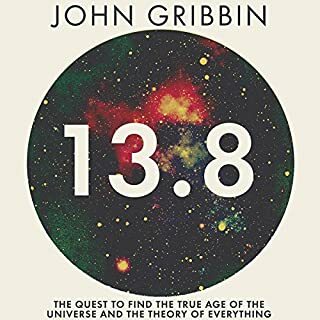 In this landmark audiobook, John Gribbin - one of the best-known science writers of the past 30 years - presents his own version of the Holy Grail of physics, the search that has been going on for decades to find a unified "Theory of Everything" that combines these ideas into one mathematical package. Every physicist agrees quantum mechanics is among humanity's finest scientific achievements. But ask what it means, and the result will be a brawl. 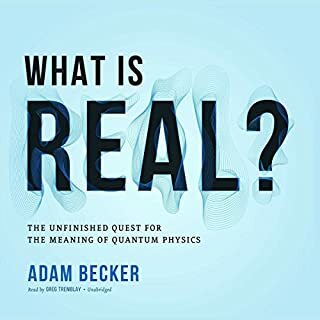 For a century, most physicists have followed Niels Bohr's Copenhagen interpretation and dismissed questions about the reality underlying quantum physics as meaningless. A mishmash of solipsism and poor reasoning, Copenhagen endured, as Bohr's students vigorously protected his legacy, and the physics community favored practical experiments over philosophical arguments. 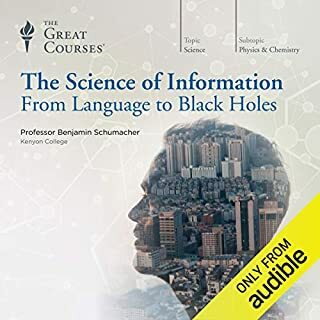 The Science of Information: From Language to Black Holes covers the exciting concepts, history, and applications of information theory in 24 challenging and eye-opening half-hour lectures taught by Professor Benjamin Schumacher of Kenyon College. A prominent physicist and award-winning educator at one of the nation’s top liberal arts colleges, Professor Schumacher is also a pioneer in the field of quantum information, which is the latest exciting development in this dynamic scientific field. Does time exist? What is infinity? Why do mirrors reverse left and right but not up and down? In this scintillating collection, Holt explores the human mind, the cosmos, and the thinkers who’ve tried to encompass the latter with the former. 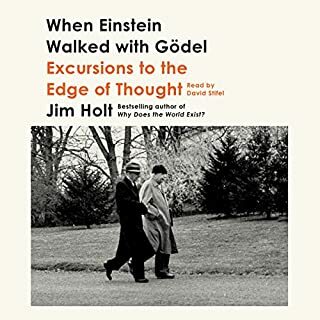 With his trademark clarity and humor, Holt probes the mysteries of quantum mechanics, the quest for the foundations of mathematics, and the nature of logic and truth. Along the way, he offers intimate biographical sketches of celebrated and neglected thinkers, from the physicist Emmy Noether to the computing pioneer Alan Turing and the discoverer of fractals, Benoit Mandelbrot. 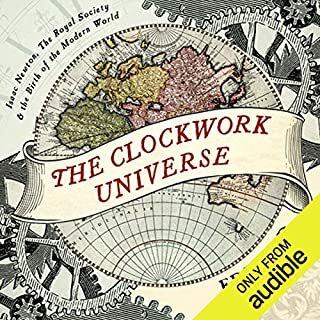 The Clockwork Universe is the story of a band of men who lived in a world of dirt and disease but pictured a universe that ran like a perfect machine. A meld of history and science, this book is a group portrait of some of the greatest minds who ever lived as they wrestled with natures most sweeping mysteries. The answers they uncovered still hold the key to how we understand the world. 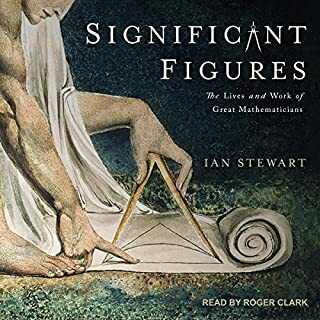 In Significant Figures, acclaimed mathematician Ian Stewart introduces the visionaries of mathematics throughout history. Delving into the lives of twenty-five great mathematicians, Stewart examines the roles they played in creating, inventing, and discovering the mathematics we use today. Through these short biographies, we get acquainted with the history of mathematics. Bertrand Russell wrote that mathematics can exalt "as surely as poetry". This is especially true of one equation: ei(pi) + 1 = 0, the brainchild of Leonhard Euler, the Mozart of mathematics. More than two centuries after Euler's death, it is still regarded as a conceptual diamond of unsurpassed beauty. Called Euler's identity, or God's equation, it includes just five numbers but represents an astonishing revelation of hidden connections. James Gleick has long been fascinated by the making of science: how ideas order visible appearances, how equations can give meaning to molecular and stellar phenomena, how theories can transform what we see. In Chaos, he chronicled the emergence of a new way of looking at dynamic systems; in Genius, he portrayed the wondrous dimensions of Richard Feymnan's mind. Here at last is a history of England that is designed to entertain as well as inform and that will delight the armchair traveler, the tourist, or just about anyone interested in history. No people have engendered quite so much acclaim or earned so much censure as the English: extolled as the Athenians of modern times, yet hammered for their self-satisfaction and hypocrisy. But their history has been a spectacular one. What causes poverty? Are economic crises inevitable under capitalism? Is government intervention in an economy a helpful approach or a disastrous idea? The answers to such basic economic questions matter to everyone, yet the unfamiliar jargon and math of economics can seem daunting. This clear, accessible, and even humorous book is ideal for young listeners new to economics and to all listeners who seek a better understanding of the full sweep of economic history and ideas. One of our greatest philosophers and scientists of the mind asks where the self comes from - and how our selves can exist in the minds of others. I Am a Strange Loop argues that the key to understanding selves and consciousness is the "strange loop" - a special kind of abstract feedback loop inhabiting our brains. The most central and complex symbol in your brain is the one called "I". The "I" is the nexus in our brain, one of many symbols seeming to have free will and to have gained the paradoxical ability to push particles around, rather than the reverse. The New York Times best-selling author traces the development of technology from the Industrial Age to the Digital Age to explore the single component crucial to advancement - precision - in a superb history that is both an homage and a warning for our future. What if Newton had never lived? A compelling dual biography argues that Robert Hooke and Edmond Halley easily could have filled the giant's shoes - and deserve credit for the birth of modern science. Robert Hooke and Edmond Halley, whose place in history has been overshadowed by the giant figure of Newton, were pioneering scientists within their own right and instrumental in establishing the Royal Society. 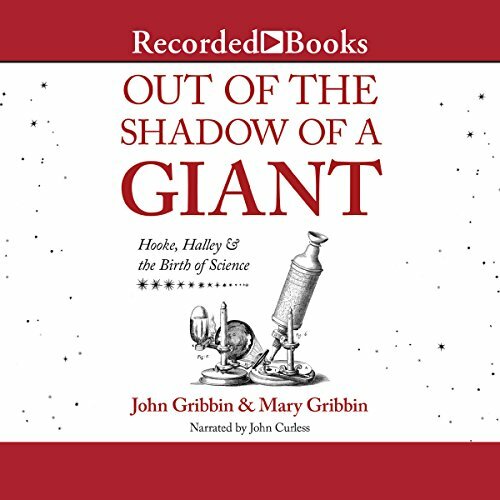 Although Newton is widely regarded as one of the greatest scientists of all time and the father of the English Scientific Revolution, John and Mary Gribbin uncover the fascinating story of Robert Hooke and Edmond Halley, whose scientific achievements neatly embrace the hundred years or so during which science as we know it became established. They argue persuasively that, even without Newton, science would have made a great leap forward in the second half of the 17th century, headed by two extraordinary figures: Hooke and Halley. Wonderful sleeper of a book! I admit to being biased as I love this period of scientific history. I didn’t expect much although I have read several of Gribbin’s books. I just was not aware of how much Hooke and Halley had done and so did not expect a riveting read. It was a great surprise and I found it thoroughly enjoyable. The key (I believe) is that Hooke left us with several diaries and so the book is charged with much interesting detail. I will be re-reading it again in the near future. I highly recommend it if this era is of interest to you.